Car Sharing Services in Washington, D.C. Car sharing is becoming popular in Washington, D.C. and offers a convenient, economical and environmentally responsible alternative to owning a car. Self-service vehicles are available on-demand in reserved parking spots in neighborhoods across the city. Members can reserve cars by the hour or by the day. The price includes gas, insurance, and maintenance and you only pay for the time you use. The following is an overview of the car sharing companies in Washington, D.C.
Zipcar -The world's leading car-sharing service offers more than 30 makes and models, available for use 24 hours a day, seven days a week. Members can reserve Zipcars online, over the phone or by using mobile applications for both iPhone and Android phones. Gas, insurance, 180 free miles, parking in the reserved spot and roadside assistance are included in the hourly and daily rates. Zipvan service is also available for hourly or daily use. Car2go - A subsidiary of Daimler, the car sharing company offers a fleet of 200 Smart cars in Washington DC. 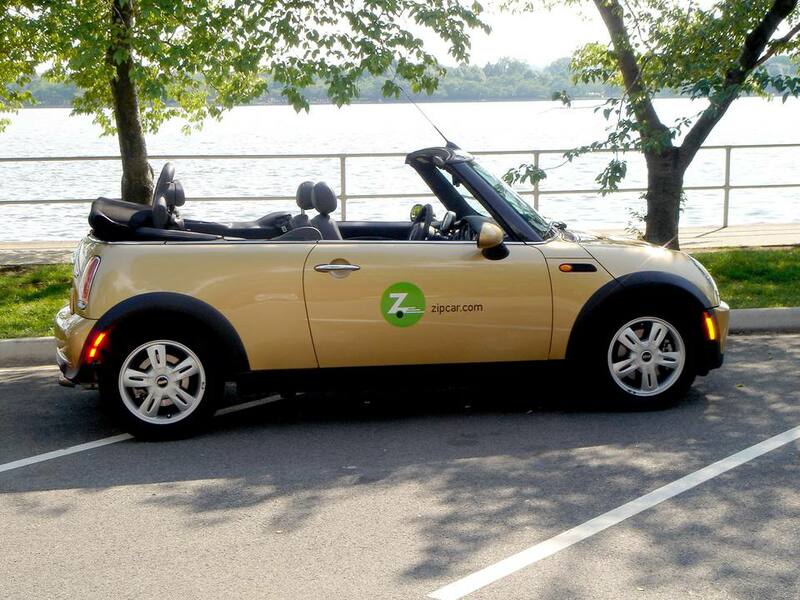 Unlike Zipcar, which requires that vehicles be picked up and dropped off at specific locations, Car2go allows users to leave cars at metered parking spots anywhere in the District of Columbia. You can pick up a car in one neighborhood, drive across town and leave it there. You can reserve a car ahead of time, or simply pick one up spontaneously. Hertz On Demand - The company offers free membership for hourly car sharing service including a fleet of luxury cars, hybrids, electric cars and more. Vehicles are available 24 hours a day, seven days a week. Gas, insurance, and 180 free miles are included in the hourly and daily rates. ​Enterprise CarShare - Enterprise CarShare is a natural extension of the local car rental service pioneered more than 55 years ago. The company offers a variety of clean, well-maintained vehicles, for an hour, a day, a weekend or longer. Enterprise CarShare is now available on more than 75 university campuses and 40 government and business campuses and in more than 15 markets including Washington DC, New York, Boston, Philadelphia, and Chicago. Maven - An app-based car sharing service by General Motors, Maven offers a free lifetime membership with low hourly and daily rates. You can reserve new cars, loaded with technology like free unlimited in-car 4G LTE WiFi™, Apple CarPlay®, Android Auto™, and SiriusXM™ Satellite Radio. Maven Home is available for personal use and Maven Gig allows you to reserve a car to drive for ridesharing, food, package, and grocery delivery services or other business uses. Getaround - Choose from 1000's of cool cars shared by people in your neighborhood. Owners share cars ranging from a smartcar to a Tesla earning thousands in extra income each year to offset the high cost of car ownership, while making a positive impact on the environment. Getaround empowers people to safely share cars by the hour and day. All Getaround rentals include insurance coverage and 24/7 roadside assistance. Looking for alternative ways to get around the city? Washington, D.C. also has an expansive bike sharing program. Learn about Capital Bikeshare. How to Take the MARC Train to Washington, D.C.